Are you a current student relying on any form of financial aid (grants, scholarships, or student loans) to help fund your education? If the answer is yes, keep reading. To be eligible for financial aid, you must remain compliant with a variety of requirements. If you don’t comply, you risk losing your financial aid package entirely. Attendance, participation, and withdrawing or dropping classes can jeopardize your ability to qualify for financial aid. We want to help you stay in the know when it comes to our financial aid policies. One aspect that students are unaware of is loan refunds. Many students don’t know what they are, whether they’re due for one, or what they should do with it if they get one. Here are some of the most frequently asked questions about student loan refunds and some answers to clarify them for you. A refund is the amount of excess financial aid remaining after total costs (tuition, fees, and books) are deducted from your financial aid award package for the semester. This results in a credit to your account, received in the form of a check. If your refund is a result of student loans, then you will need to repay the loan upon graduation, if you cease enrollment, or if you are enrolled on a less than six credit per semester basis. How do I know if I should expect a refund? You will get a refund if excess funds remain after charges are applied to your student account. You can review your student account to see if and when you’re due for a refund on the "My Finances" tab on your my.peirce.edu student portal. 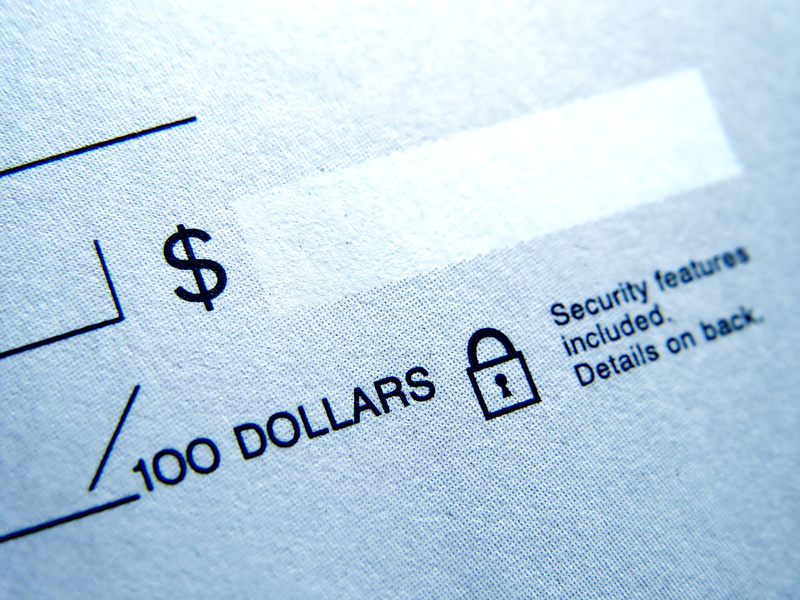 Refund checks are distributed on a rolling basis. Does the type of financial aid I receive impact my refund? Yes. You can only get a refund on money from the federal government. Peirce grants, scholarships, and leadership awards are not eligible to be refunded. Federal and state grant money is applied to tuition and fees first. Next, scholarships are applied to your educational expenses. Any amount not used will be refunded to the scholarship fund, not the student. Finally, government loan money is applied. If the loan is for more than your remaining tuition costs, you will be refunded the balance. Remember that all loan money must be paid back, whether it was used for expenses or received in the form of a refund check. Loans accrue interest (current standard rate is approximately 6.8 percent), so you’ll pay back more money than you are borrowing now. Each financial aid package is different and is based on individual student need, so every refund amount is different. You won’t receive a refund if your total costs are equal to or greater than your financial aid package for that semester. You also might not receive a refund if your course attendance and participation disqualify your aid package, or you withdraw from a class but remain financially responsible for it. 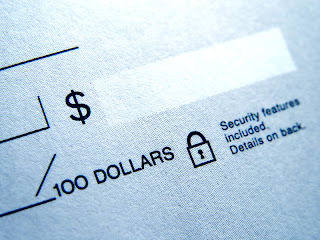 What can I do with my refund check? Return the check to the Department of Education to lower your loan debt. If you return the money, it will be deducted from the amount of your financial aid package and you will not be responsible for repaying it when you graduate (essentially, by returning your check, you are repaying it immediately). Instructions for how to do this are included in the letter sent with your refund check. Hold the money in your account for any additional charges that you might incur during the current academic year. Cash the check. The money is yours to use on education-related expenses, but remember that those funds will need to be repaid, with interest. If you choose to cash the check and repay a portion of the loan, you will need to log in to your student loan account at studentloans.gov for more details. It’s not free money. We can’t say this enough. Understand that these loan funds are money you will have to pay back, with interest. This is NOT free money from the government. So think about if you really need that extra money today, or if you should save it for next semester or even pay it back now. Know your loan limits. Independent students have a lifetime undergraduate borrowing limit of $57,500 ($31,000 for dependent students). If you exceed this amount, you will not be able to borrow any additional federal loan funds as an undergraduate student, and you might not be able to pay to finish your degree. Make sure you’re aware of your limit and how close you are to reaching it before you even think about cashing the check! You can view your total student loan history through the National Student Loan Data System. Any additional expenses incurred after the receipt of your refund check will be your financial responsibility. Think about your future needs. Will you need that extra money for courses you want to take next semester or your final credits? Be conscious of unexpected charges or additional courses you might need to take. If you truly need the money for expenses now, just keep in mind all of the above restrictions, and think about what you’ll need it for in the future so you can weigh the implications and make the choice that is right for you. Still not sure? Ask a Financial Aid Specialist for guidance. Why do I have to repay my refund check? Because it is a loan from the government. Even though you didn’t use the entire loan on tuition and fees, the government is still allowing you to have the funds for other education-related expenses. You are responsible for repaying those funds after you graduate, cease enrollment, or drop to less than six credits per semester. If I withdraw from a class, can I get a larger refund? Withdrawing from a class does not alleviate your financial responsibility for that class and charges might be pro-rated depending on the amount of time you were present/participating in the course. Where can I find my financial aid/loan information? Go to your student portal for statements and account activity, and for more information about your current standing and loan repayment. As we mentioned above, you can also access your loan borrowing history via the National Student Loan Data System. You’ll just need your FAFSA personal identification number (PIN). We know it can be overwhelming, so remember we’re here to help. Don’t hesitate to contact the Office of Financial Aid with any questions or concerns.